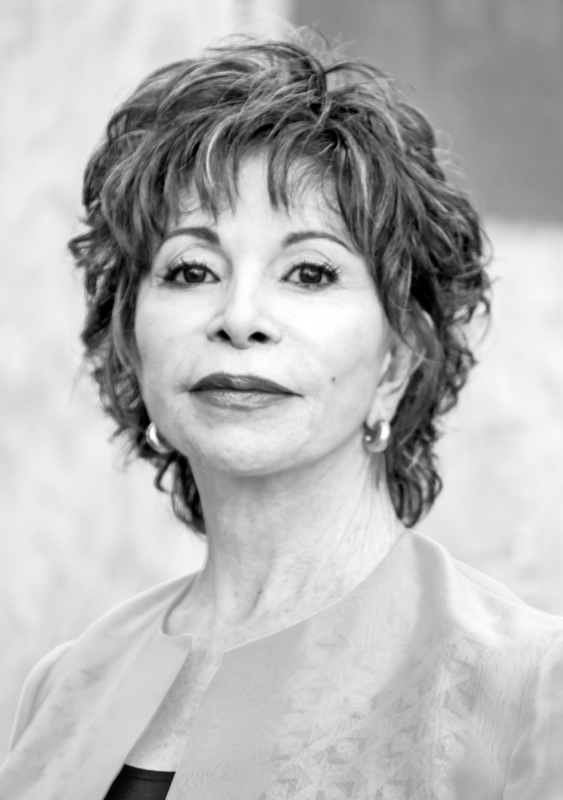 Isabel Allende received worldwide acclaim when her bestselling first novel, The House of the Spirits, was published in 1982. In addition to launching her career as a renowned author, the book, which grew out of a farewell letter to her dying grandfather, established her as a feminist force in Latin America’s male-dominated literary world. She since has written 20 more works, including Of Love and Shadows, Eva Luna, Daughter of Fortune and her latest, The Japanese Lover. Allende’s books, all written in her native Spanish, have been translated into more than 35 languages and have sold over 67 million copies. Allende’s works are informed by her feminist convictions, her commitment to social justice, and the harsh political realities that shaped her destiny. A prominent journalist for Chilean television and magazines, her life was forever altered when Gen. Augusto Pinochet led a military coup in 1973 that toppled Chile’s government. Allende’s cousin Salvador Allende, Chile’s president, died in the coup. The Pinochet regime was marked by repression and brutality, and Allende became involved with groups offering aid to its victims. Finding it unsafe to remain in Chile, she fled in 1975, ultimately settling in the San Francisco Bay Area. In addition to her work as a writer, Allende also devotes her time to human rights. Following the death of her daughter Paula in 1992, she established in her honor a foundation dedicated to protecting and empowering women and children worldwide. Allende became a U.S. citizen in 1993 but, as she says, she lives with one foot in California and the other in Chile.